5 Customer Research Tactics to Help Content Creation | ODosta Inc. In the world of digital media and internet marketing, content is the king. However, one needs to make hard efforts to be successful with content marketing campaigns. The B2C Benchmark Report of the year 2015 reveals that 47% of the successful content marketers make use of document strategy. Here’s some best tactics to help Content Creation. The effective content strategy is required to be determined with the help of hard numbers and huge market research. The guesswork should be eliminated while focusing on proper tools and tactics. When you make use of all critical components like competition, media, trends, and audience to lead your marketing campaigns, it becomes easier to ensure success. There is no doubt to say that audience assessment is the key to success in the content marketing world. In order to design the most impactful content, it is first important to collect information about the behavior of your clients. The audience assessment will help you understand the prime needs of your customers, their technique of evaluating brands and influence of different products. Make efforts to get an idea about the buyer’s journey so that you can convince them to make a purchase from your platform. There are few essential research tactics for the audience assessment; you can focus on the quantitative and qualitative content by considering analytical assessment, expert interviews, customer interviews and surveys, keyword research and brand immersion. The prime goal of trend assessment is to work on the trending content patterns in the market. It will help you to find new opportunities to resonate with your target audience. The search tactics for this area of work include expert quoted analysis; resources cited analysis, compelling question analysis, sub-topic identification, angle identification, and sentiment analysis. This type of research will help you understand what kind of questions related to your field is being answered in the market. With this, you can find ways to create the most engaging content for your audience. This method of research is used to identify the most potential online media to lead your marketing campaigns. It will help you amplify the content so that more audience can be served through promotional campaigns. This research includes social engagement analysis, paid media analysis, industry expert analysis, industry social influencers analysis, and industry publications analysis. Once you identify and analyze all these factors, it becomes easier to perform well in the competitive business sector. Once you have worked on all these essential factors, it is time to develop a content marketing strategy that can beat the competitive forces in the market. Make efforts to design the most compelling and relevant content to capture the attention of your audience. The strategy must be backed by proven and standard procedures. This in-depth research can help you ensure higher engagement online. 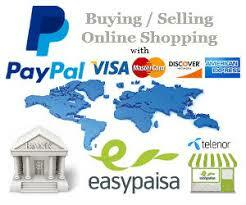 The diverted traffic can be soon utilized to enhance conversion rate for the business. This method also contributes in a perfect way to create amazing content. Once a content creator becomes familiar with the interests, likes, and dislikes of the visitors, then it will become easier for him to create the desired content easily. This can be done by creating a poll or survey. Moreover, one can also create some engaging activities, which will show the interest of the audience and hence make a content creator able to understand what type of content to create. To understand and know the interest of the audience is necessary in order to create amazing and useful content to attract more audience and grow your site or business. The next tip that can help in creating amazing content is by adding more to it. Adding your inner creativity will help a content creator in creating amazing yet unique content. Do proper needed research on the relevant task and do not forget to add your inner creativity to it. No matter, if you add a little bit of creativity but adding creativity is necessary as it makes the content unique and fresh. This provides an opportunity for a content creator to attract more audience effortlessly with the help of content. Therefore, it is necessary to add the element of inner creativity to increase the visibility of the content and make it more creative and unique. Creating unique and attractive content is one the difficult task in the creative field. This is also very important because of increasing competition and emerging content creators. Therefore, this article showed some of the prominent research tactics, which can help a content creator to create amazing, unique and attractive content. Moreover, these are the simplest tips that are easy to understand and to adopt. Previous: What Are the Best Ways to Find Clients for Freelancing? Next: How to Leverage Organic SEO to Grow your Business?